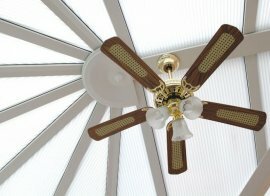 Light up your living space and bring a stylish ambience to your garden room. 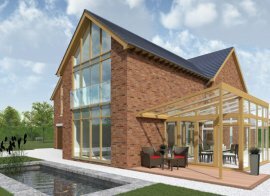 The first thing you'll notice about our elegant orangery roof style is its use of attractive corbels to add an aesthetically graceful and pleasing architectural design feature. But when we set about creating this advanced roofing solution, we wanted it to do more than look good. For example, you can place subtle lighting within the roof perimeter. 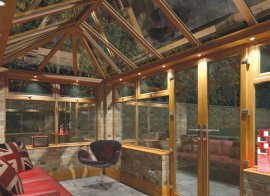 This provides a soft ambient light that turns your conservatory into a tranquil and relaxing living space, whatever the time of year. 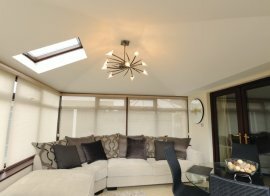 Your new Orangery also comes with a full range of perfectly colour matched trims, finishing your amazing new space off in style. 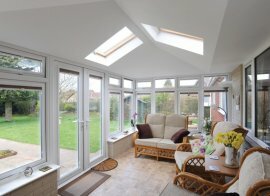 What are the difference between and Orangery and a Conservatory? 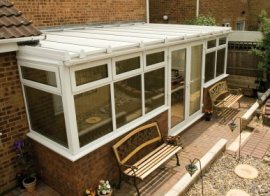 • Conservatories are mainly constructed from Glass panels, with the only brickwork being perhaps a Dwarf Wall for the window frames to sit upon (for those that prefer not to choose full height glass). 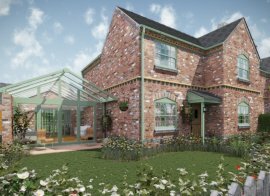 Orangeries in their purest form are styled as per house walls (mainly brick with inset window frames) up to the roof, where an inset glass roof is added. 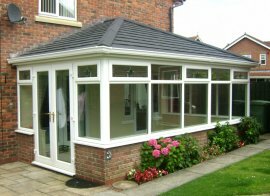 • Generally with an orangery the 'edges' where a conservatory roof meets with the top of the side window frames are not visible from ground level, as the roof is inset. 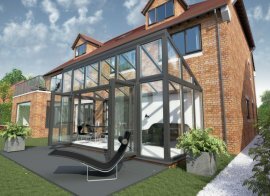 • Internally the appearance is of a wide soffit (the area between the top of the windows and the edge of the glass roof) extending into the room. 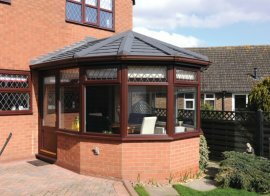 This area of solid roof allows decorative options not always possible in standard Conservatories. This area is often considered to give a more 'solid' appearance to the construction. 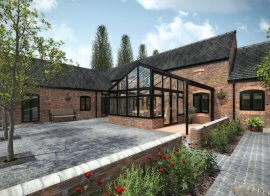 The House of Anderson are installers of high quality Orangeries - Visit our offices in Barrow in Furness, Morecambe, Ulverston, Preston & Blackpool.